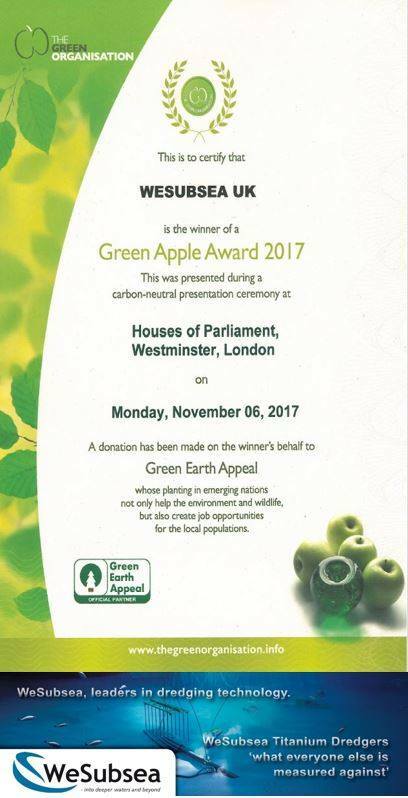 WeSubsea are very proud to have won the Green Apple Award 2017 for “Environmental Best Practice” which was presented during the carbon-neutral presentation ceremony at the houses of Parliament. We would like to thank all involve especially Paul Webster who joined our team a short while ago and has already proved to be a huge asset to the company. Well done everyone for your hard work, commitment and professional attitude.